The popular “Piece of Peace” exhibition, visited by a total of 2,800,000 people since its inception in 2003, makes its much-anticipated return to Okinawa after a five-year absence. 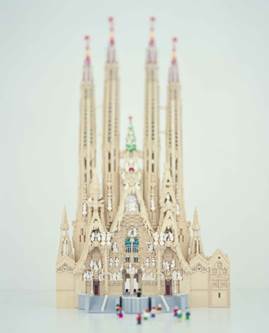 The highlights of the exhibition include a scale model of the earth and 40 miniature World Heritage sites from 27 countries made using Lego pieces. Among the 40 exhibits is Mt. Fuji, which was inscribed on the list of UNESCO's World Heritage sites in 2013. A large number of Lego works designed/created by popular artists in varying genres are also on display. *Family Ticket is available for advance purchase only. *Advance tickets are available at all locations of Family Mart (via the Eplus ticketing machine) and Lawson (L-code: 85400), Coop Apple Town, Urasoe Museum, Ryubo and Museum Shop Yuimui.